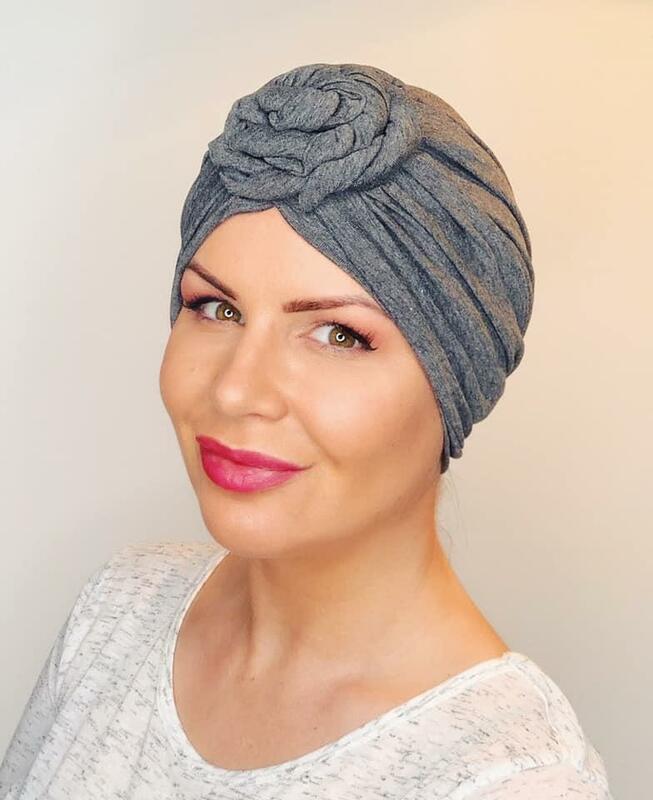 This is a staple hair loss hat to have in any wardrobe. As the name indicates this can be worn in four different styles with no tying involved. This clever hat which is made from bamboo includes mounds of fabric shaped and rouched around the head to create volume and a cute rosette detail which can be worn many ways. If you would like a specific colour please get in touch and we can make it!